Learn how our exercises will help you improve your balance, enhance your brain function and grow your emotional and physical well-being one small step at a time. 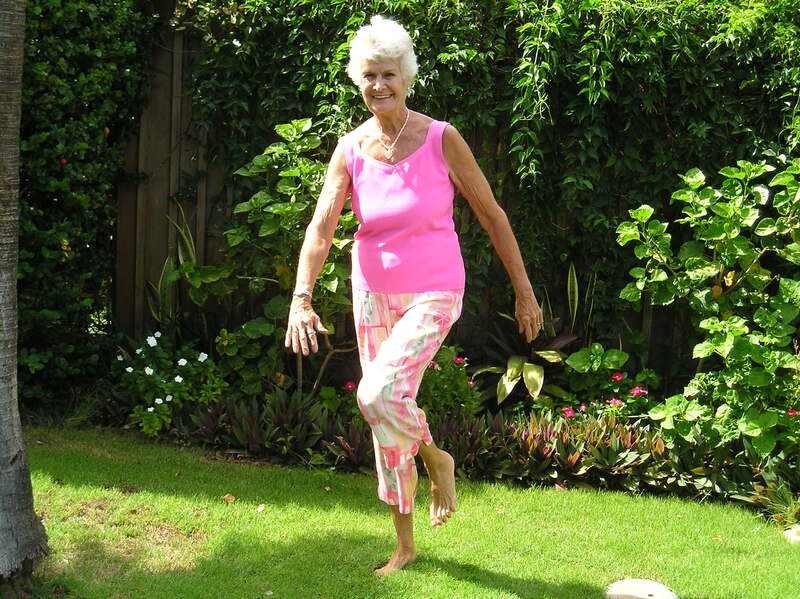 Move With Balance is a fun and national award winning program that is designed to help elders improve their balance and cognitive skills. It is scientifically proven to reduce falls by 66%. 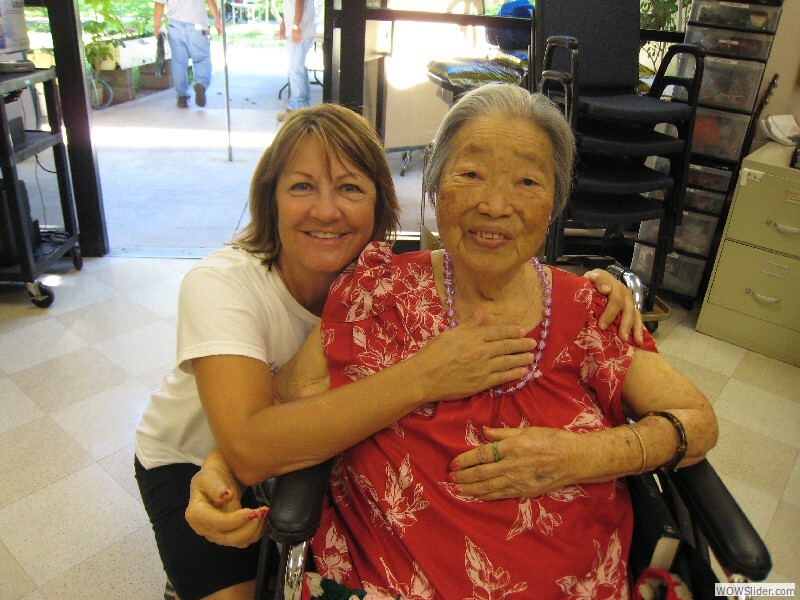 As a non-profit, our mission is to dramatically improve the lives of elders and their families in their own communities. 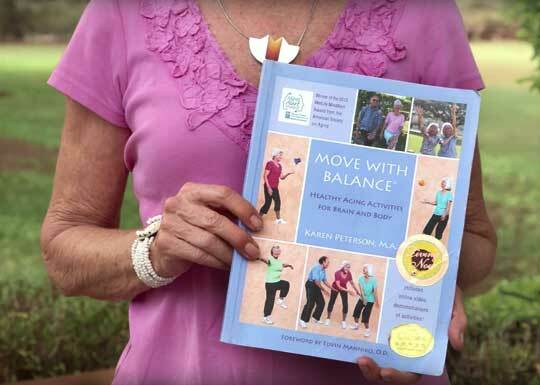 Our national award winning book is the cornerstone of learning how to move with balance. The book's easy-to-follow exercises are scientically proven to help increase coordination, sharpen cognitive skills, improve vision, and enhance self-confidence. Enjoy some of our other short videos with original music. Please click on the small video to load it to the large screen, which is the player. Wait for it to load and press play. 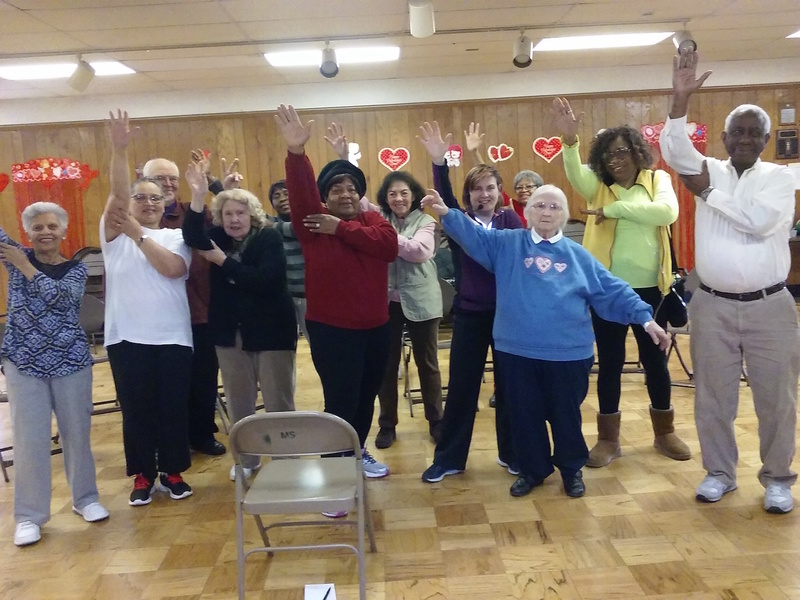 For seniors who are mobile and independent, learning the exercises on your own is easy and convenient. Study our special curriculum designed for professional and family caregivers who work one-on-one with elders. For state departments and health organizations who would like to set up a group program in their area. There are many ways you can learn, volunteer and support elders in your community. Discover how to get involved. Your support will help us reach more senior citizens and support families in need in their own communities.